Take a step back in time when you stay with us at The Mark Spencer Hotel. Originally opened in 1907 as the Nortonia Hotel, guests from all over the world visited our Theatre District property, finding comfort in the hospitable atmosphere. Performers would frequently stay at the Nortonia Hotel to enjoy easy access to the area’s entertainment venues, with guests like Louis Armstrong, Mel Torme, Sammy Davis Jr, and many more gracing our halls with their star presence. 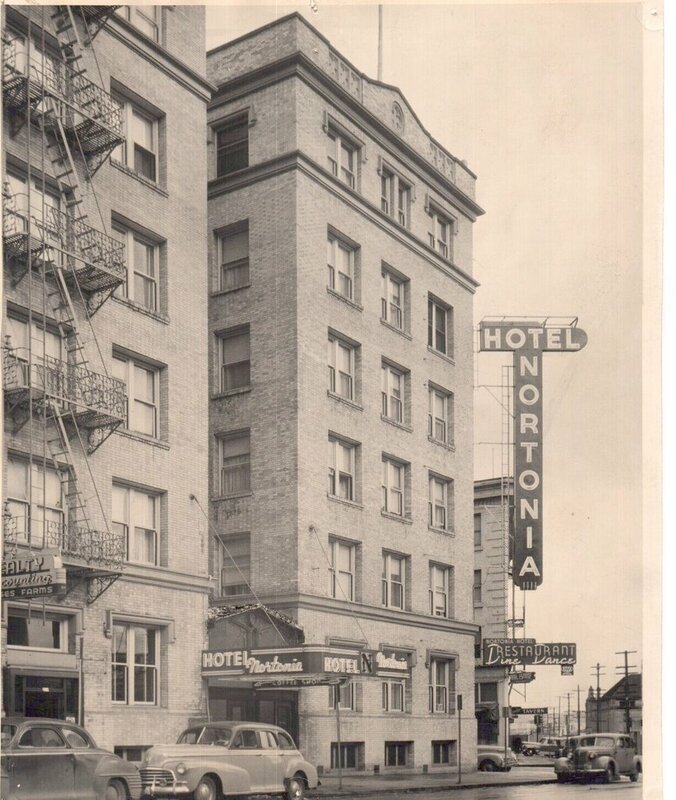 In 1966, the Nortonia was remodeled and redubbed Mark Spencer Hotel, keeping the same air of sophistication and Portland charm, with the added benefit of modern furnishings and stylish décor. With a commitment to providing a "stay like a local" experience, still deeply rooted in the hotel’s purpose, Mark Spencer Hotel continues to provide guests with exceptional rooms and suites. Our property has undergone extensive renovations over the past decade, finishing in early 2017. Today, guests will enjoy energy efficient windows that open, an ozone laundry system that uses 50% less energy than other laundry systems, and an energy-efficient HVAC unit. Additionally, this renovation saw the construction of our Mark Spencer Event Center, featuring the Nortonia Ballroom - a nod to our original name, along with a new fitness center with Precor strength and cardio equipment. Book your stay in our historic Portland hotel today!